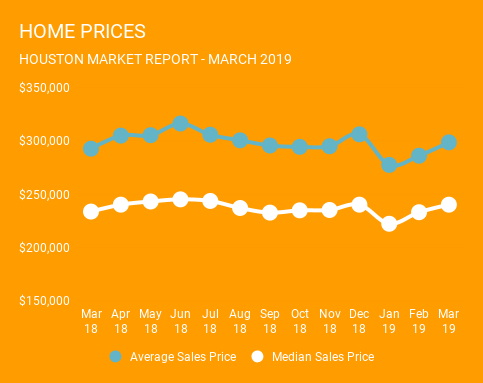 After a sharp decline in Mortgage rates, home buyers have started to move into the market to help push home prices and sales back up in March. 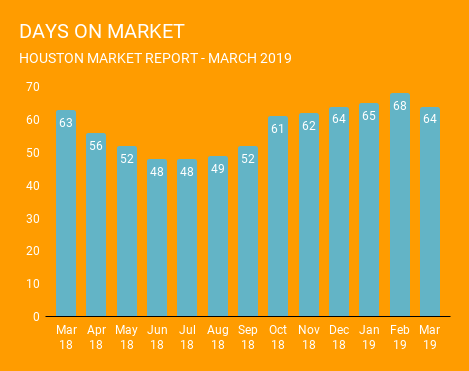 According to the Houston Association of Realtors’ March monthly report, the strongest sales activity was registered among homes priced between $250,000 and $500,000, followed by the luxury segment ($750,000 and above). Prices of single-family homes reached record highs for a March. The median price rose 2.1 percent to $240,000 and the average price was up 2.0 percent at $298,766. According to HAR, total active listings, or the total number of available properties, jumped 17.5 percent to 41,127. March sales of all property types totaled 8,475, up 3.6 compared to the same month last year. 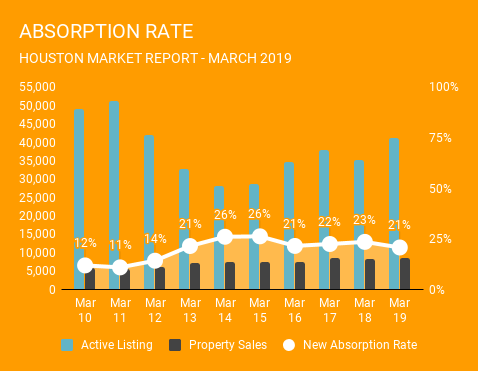 As a result, the absorption rate for March 2019 fell to 21% versus the 23% rate we saw in February. As the Spring selling season starts, we are seeing rising inventory levels across most neighborhoods. The rising number of options coupled with falling interest rates create a very nice environment for home buyers. In some markets, increased buyer activity has also been great for sellers as well. Anecdotally, we have seen multiple offer situation in some near town neighborhoods.